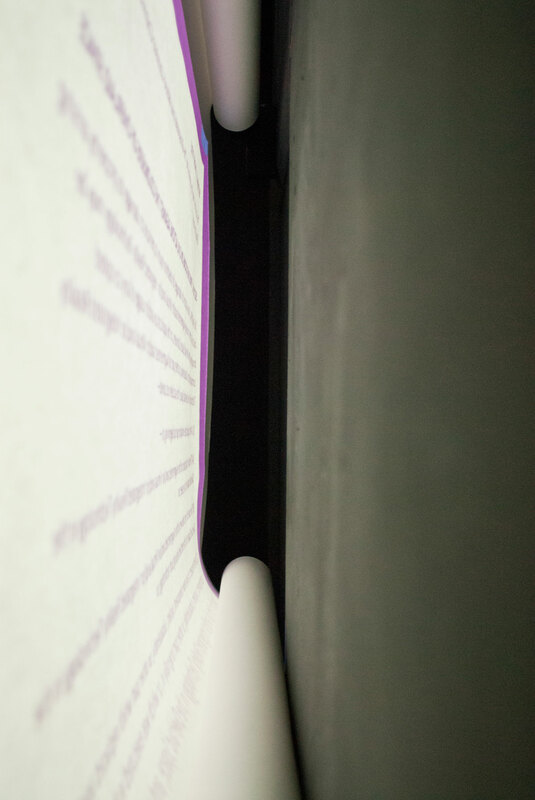 For the past few weeks, I’ve been London-exhibiting a version of my Interactive Fiction work called “T[he]Issue” as part of a second site showing of Beyond The Interface. “T[he]Issue: The Geospatial and Mixed-Locative Colonisation Act of 2014” (“T[he]Issue” for short) is a work originally commissioned by Julian Stadon and Furtherfield Gallery for the Beyond the Interface Exhibition as part of the 2014 International Symposium on Mixed and Augmented Reality in Munich, Germany. The second site showing is currently being held at Furtherfield’s Gallery at McKenzie Pavilion, Finsbury Park, until the 21st June. For this London showing, we’ve installed a stripped back version of “T[he]Issue” which presents as a faux legal document. This document questions legal, moral and ethical issues to do with ownership of Augmented, Mixed and Virtual Reality based arenas by asserting unequivocal ownership rights over such spaces. 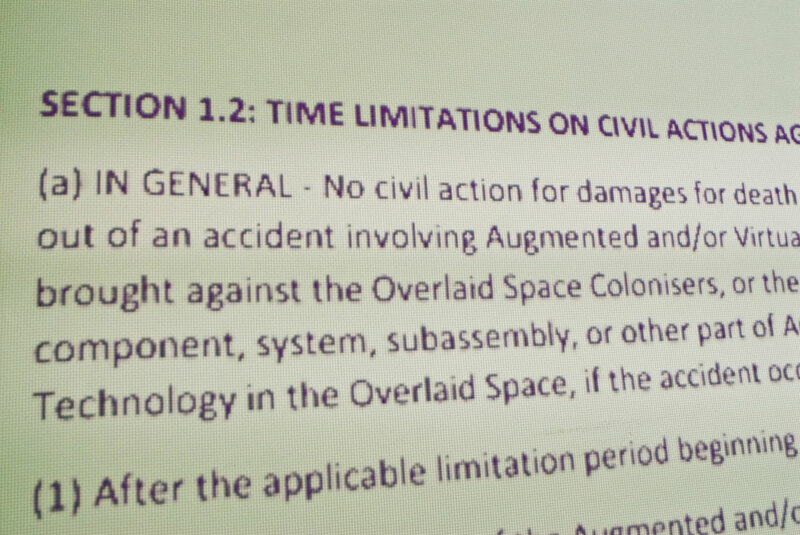 The document asserts a blanket claim of all spatial and locative sectors involved in these AR/VR spaces, or as the fiction terms it, “The Overlaid Space”. The work is designed to creatively mimic and mock bureaucratic, legalese-laced publications, while also highlighting the ambiguities and potential conflicts that may result from emergent reality-altering technologies. 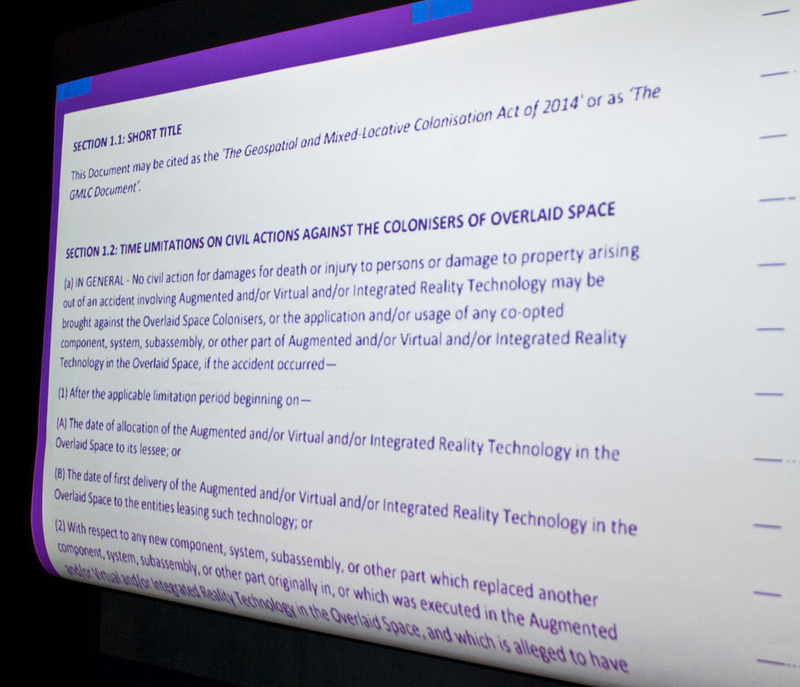 The aims and issues involved in the creation of “T[he]Issue” are associated with problems arising from likely disputes concerning the proprietorship of new Augmented and Virtual Reality spaces. Graphic/interactive-rich versions of “T[he]Issue” are also available as executable files, an app, as a Flash-based interactive work, and in a HTML5 web-responsive/mobile device friendly format (keep your eyes peeled on this blog for upcoming details on how to access these). Posted by Mez Breeze. Categories : Augmented Reality, Design, Digital Literature, Electronic Literature, Interactive, Virtual Reality. 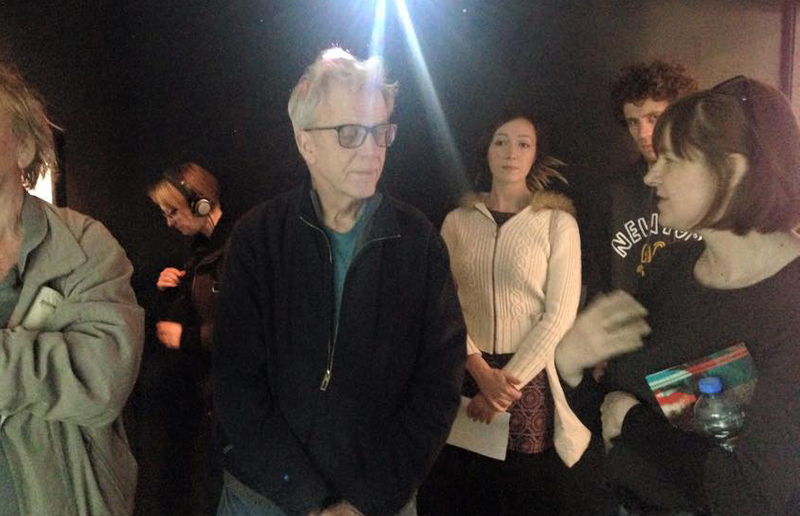 Tags : AR, Mixed Reality, Mockumentary, VR.